they read the descriptions and match to the pictures. Enjoy!!! 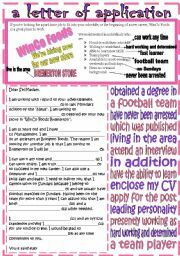 They look at the ad, read the letter and choose from the words/phrases to fill in the gaps. Then you can set the other two similar ads for homework-one is abou a home theatre and the other about a tablet.Key included. 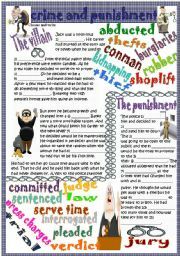 2 exercises with possessive adjectives.1.they write the correct possessive 2.they choose the correct one and match to the pictures. They look at the ad, read the notes and choose from the options to fill in the gaps.Two more ads to write the letter on their own. Key included. 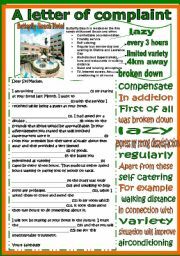 A letter of complaint about staying in a hotel.They look at the ad, choose from the given words/phrases and fill in the gaps.There are two more ads to set as homework.Key included. 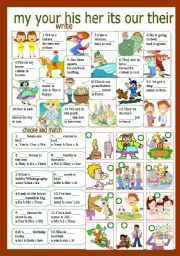 Five different exercises on possessive adjectives:1they fill in the correct one, 2.they match to personal pronouns, 3.they choose the right option, 4.they look at the picture and choose, 5.multiple choice. 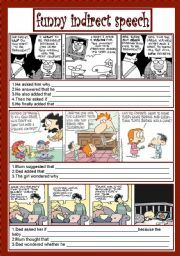 comic strips used to write indirect sentences.-kingfeatures.com and gocomics.com used.-key included. Have fun! two connected short stories I wrote to fill in the words.key included. 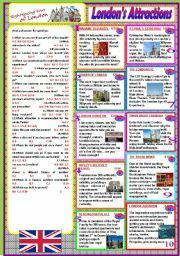 they read about 10of London�s attractions and do a reading activity-the texts are taken from this year�s bigbustours leaflet.-key included-thanks for the template-the questions re in order when you download it. Enjoy! They see the sentence and the sparkling animal.In teams they have to come up with the right adjective.The team that does so gets one point.If they choose then the best option they get one more.The right answer is shown by fireworks.Enjoy! They play in teams.They see the picture and then the letters appear one at a time so they have to unscramble them and come up with the word.Ask them to write their answers down-then the word appears and they can check their spelling. A guessing game.They see part of the picture and try to guess what it is.If they guess correctly with the first slide they get three points-2nd slide two points-3rd slide 1 point.They use "is it a....? ".69 slides.Enjoy! 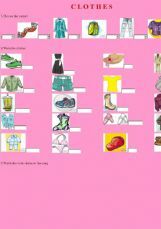 They look at the animated pictures,read the verbs and choose the correct. 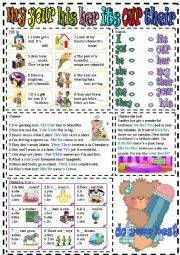 They see the picture and the words.The endings for the plural flash once and before they see the answer they write it down.The trick is the irregular ones.Enjoy!! They do it as a game. In teams they have to say in a voice what�s the correct-do or does.Enjoy! 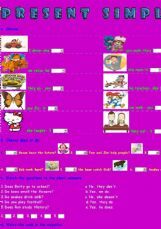 They look at the pictures, read and have to come up with the correct question word.Do it as a game.You ask sb before the see the slide and he/she has only one chance to say a word.Have fun! They look at the pictures read the sentences and come up with the correct verb in past continuous.We played it as a game.They got 1 point for finding the missing verb and 1 point for forming the past continuous correctly. Enjoy!! They see the pictures and the words and have to choose the correct. Play it in teams. 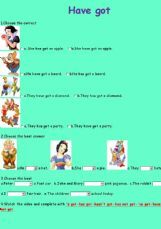 They guess and get points for the correct answers. I used it to introduce the new words. 1,They tick the correct sentence.2-3.They choose the best answer.4.They watch the video from Real English and they write the correct form of have got. They also choose and revise food words. they watch the video and answer the questios-they write what the sea creatures are.the unknown always fascinates them!!! 1.Choose the correct answers. 2.Write the clothes. 3-4.Watch the song and tick the correct sentence. 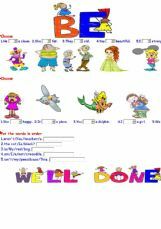 4 different exercises on comparatives and superlatives. 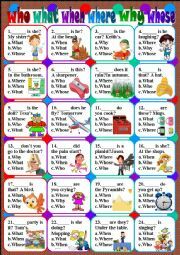 1.match words to meaning-2.answer questions-3.choose prepositions-4.tick the correct answer.Have fun!!! 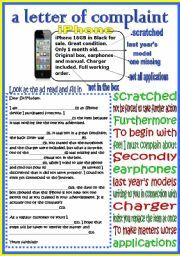 1.they choose the correct form-2.choose do or does-3.they match questions to answers-4.they write the negative.Hope it�s useful! 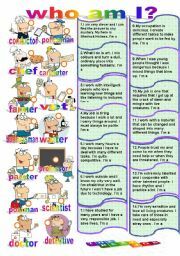 2 exrcises to choose the correct option and one more to put the words in order.For young learners. Enjoy!! They listen to the song and choose the right option!Let it snow by Dean Martin.Merry Christmas!!! 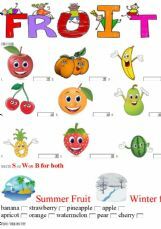 They choose the correct word.They write if the fruits are summer, winter or both.They find the fruit.